I am a Professor in the College of Computer and Information Science at Northeastern University, and the Director of the Cybersecurity Graduate Program. My research spans a range of problems on the theory and practice of privacy, security, and robustness in networked systems. I am in particular interested in Mobile and Wireless systems security. Over the years, I have build interest and expertise in wireless interfacing with biological systems, and the leveraging of synthetic biology. I am currently teaching Network Security. Our paper on permissionless mobile phones tracking using magnetometer received the Best Paper Award at ACM WiSec 2018. Congrats Ken! General Chair ACM WiSec 2017. Our Sprite team received the “Mass Attack” Award at the embedded CTF competition (eCTF 2018) organized by MITRE. Congrats Sashank, Amirali, David, Tien, Ziyad, and Anirudh. Best paper award at IEEE Conference on Communications and Network Security CNS’16. Keynote lecture at ACM WiNTECH 2016. 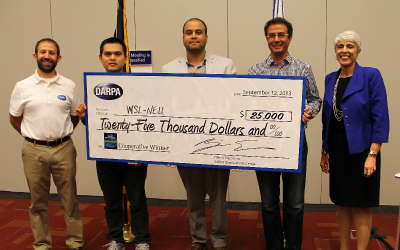 Our team (Triet, Bishal, and myself) won the DARPA Spectrum Challenge $25K cooperative, ranked 3rd on the competitive 2013, and ranked 4th on the 2014. Jin Tao joined Qualcomm Research at San Diego (9/2013). Our paper on countering high-power jammers was selected as the runner-up best paper of ACM WiSec’13. The website for our SoC-based apps-driven wireless sensor network is up. 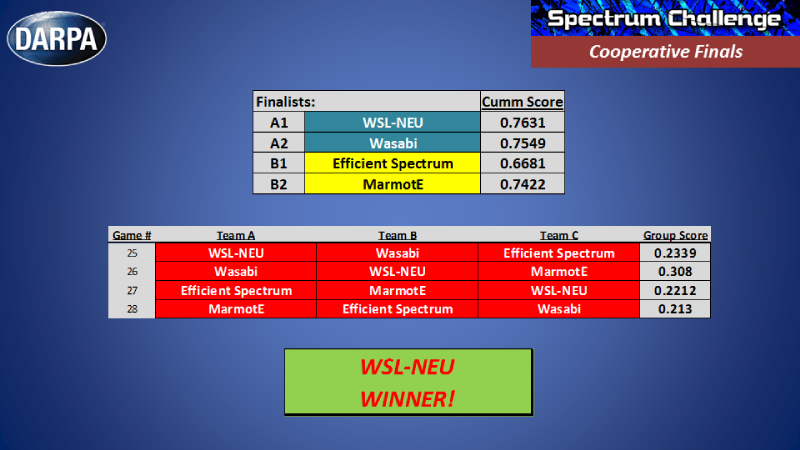 Our team ranked 3rd (out of 90 teams) in the DARPA Spectrum Challenge qualification phase (2013-2014). Bishal joined Raytheon BBN Technologies (9/2011). Our paper analyzing the robustness our rate adaptation won the ACM WiSec’11 best paper award. Our team (Yin, Tao, and myself) made it to the top 20 (from >1800 teams) in Google’s Android Developers Challenge. Reproducibility in Wireless Experimentation: Need, Challenges, and Approaches, Keynote Lecture, ACM WiNTECH, 2016. Honey Onions: Exposing Snooping Tor HSDir Relays, DEF CON 24, 2016. Towards Practical ORAM, Summer School on Real-World Crypto and Privacy, Croatia, 2016. Robustness and Privacy in Wireless and Mobile Systems, KTH, MIT, WPI, 2016. I received my PhD in Computer Science from the Swiss Federal Institute of Technology at Lausanne (EPFL 1996) and my engineering diploma (MS) from École Nationale Supérieure d'Informatique et de Mathématiques Appliquées at Grenoble (ENSIMAG 1991). Prior to joining Northeastern University, I was a senior research scientist at CSEM SA (Switzerland) where I led several research project and contributed to the definition of the third generation Universal Mobile Telecommunication System (UMTS) standardized as 3GPP WCDMA. I held visiting research positions at Eurecom, MIT, and UNL. 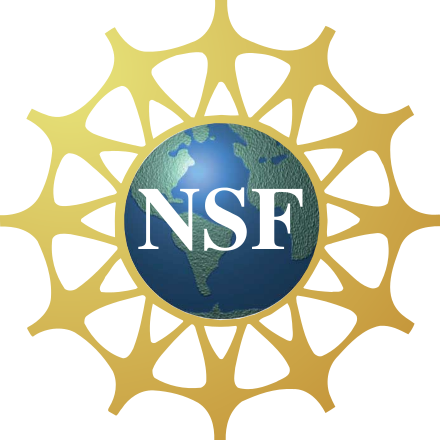 I am a recipient of the NSF CAREER Award, and Google Faculty Research Award. 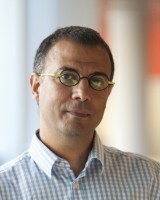 I serve(d) on the editorial board of ACM Transactions of Privacy and Security, ACM Transactions of Information and Systems Security, IEEE Transactions on Mobile Computing, and the Elsevier Computer Networks Journal. I co-chaired the TPC of ACM WiSec‘2015, IEEE CNS‘2015, IEEE WoWMoM 2015, IEEE SECON’14, NETYS’14, ICCCN’12 and regularly serve on the TPC of wireless networking and security conferences such as IEEE Infocom, ACM WiSec, ACM Mobicom, ACM MobiHoc. I served as a judge in the Synthetic Biology iGEM competition 2012-2013. I enjoy developing new courses that expose the students to new computing and communication paradigms that involve both theory and systems. allows the students to explore the practical elements of networks security and related design, and deployment decisions in a supervised laboratory, while simultaneously acquiring a strong conceptual knowledge of the underlying theory in the more traditional classroom environment. The combination of these elements provides students with a vivid picture of why and how networked systems and applications must be designed, implemented, deployed, and maintained in a secure fashion. a special topics course in networking. Check the movie where students wirelessly control a flying quadcopter with their thoughts using a Brain Computer Interface. Best paper award at the ACM Wireless Security Conference WiSec’2018, WiSec 2011, IEEE Conference on Communications and Network Security CNS'2016, runner-up best paper ACM WiSec 2013. General Chair of ACM Conference on Security and Privacy in Wireless and Mobile Networks (WiSec) 2017. TPC Co-Chair (with Ivan Martinovic) of ACM Conference on Security and Privacy in Wireless and Mobile Networks (WiSec) 2015. TPC Co-Chair (with Pierangela Samaranti) of IEEE Conference on Communications and Network Security (CNS) 2015. TPC Co-Chair (with Luciano Bononi) of IEEE World of Wireless Mobile and Multimedia (WoWMoM) 2015.